People who support famous Bangladesh photographer’s arrest are using the same hashtag as critics to justify the move. 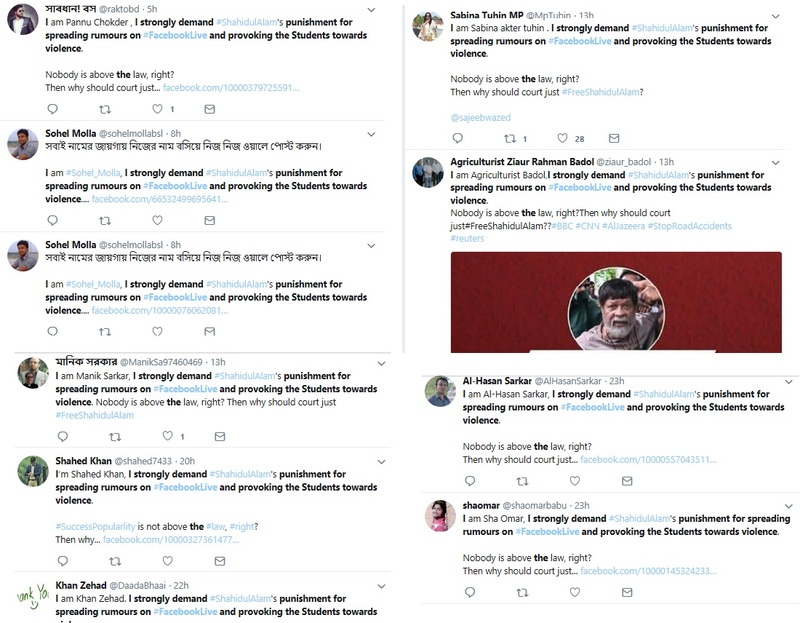 New Delhi: Supporters of the Sheikh Hasina-led Awami League government in Bangladesh are lashing out at those criticising the arrest of famed photographer Shahidul Alam, in a hashtag-vs-hashtag contest that has come to define online ideological conflicts. Alam was arrested recently for making “provocative comments” in an interview about the recent student protests in Bangladesh, which were triggered by the death of two students run over a rashly driven bus and have been marked by accusations of a brutal police crackdown. Critics allege that current Bangladesh government is “unelected” because the 2013 election was marked by a low turnout and widespread opposition boycott. Alam had said that the situation was going out of control because “an unelected government doesn’t have any mandate”. Reports have suggested that Alam is being tortured in custody. 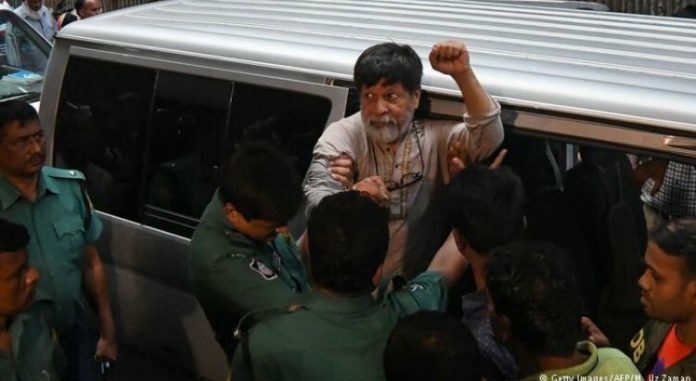 His arrest had elicited condemnation from around the world, with people rallying around the hashtag #FreeShahidulAlam. Soon afterwards, supporters of the government who believe Alam’s arrest was justified began tweeting too, with the same hashtag to ostensibly temper the impact. According to Sanjana Hattotuwa, a tech expert and doctoral student at University of Otago, New Zealand, all the people who tweeted to justify Alam’s arrest have very strong connections with the Awami League. Sanjana tweeted a network analysis that showed a “high-degree of centrality which means that these accounts push content out and tag accounts more than they really engage, it’s like shouting”. The tech expert also sought to point out that the accounts’ activity revealed frequently mentions of Awami League leaders, government officials, and members of the party. This trend of hashtag hijack has emerged as a popular weapon online to reduce the impact of a particular hashtag. In February this year, while the Maldives was under a widely criticised emergency imposed by President Abdulla Yameen, his supporters started tweeting with the hashtag critics were using, #MaldivesInCrisis. For example, one of them, Ahmed Narysh, tweeted images of the country’s famous beaches, resorts and natural beauty, a bid to deflate the claims made by the other side. In India, when #BlockNarendraModi began trending following reports that the Prime Minister followed trolls who had made offensive remarks about journalist Gauri Lankesh following her murder, his supporters hijacked the hashtag to defend him and hit out at critics.